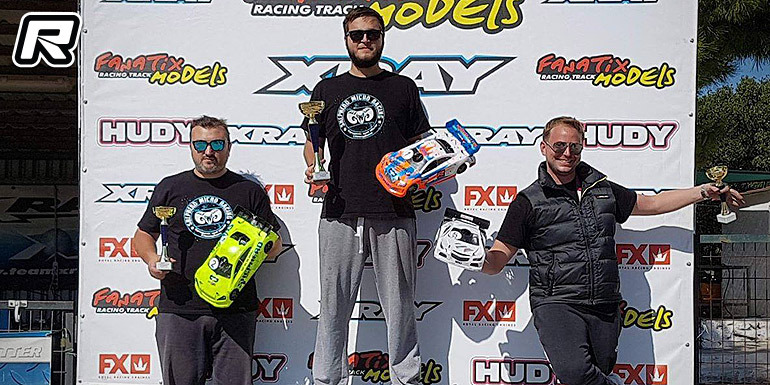 The sixth round of the Greek 1/10th 200mm Nitro Touring Championship took place at Fanatix Racing Track recently. After four rounds of qualifying, Vasilis Lykaris managed to take the overall TQ with Nikos Karabelas in 2nd and 14 years old George Lekkas, making its A-final debut, qualifying 8th on the grid. In the final Vasilis started pulling away from the field early on and from there he drove an error-free final and crossed the finish line first while George Lekkas managed to finish 6th. Nikos Karabelas had to battle for the runner-up position very hard throughout the whole race, but he managed to bring it home and scored important points to achieve a 2nd position in the championship behind Vasilis.